Two running backs, two quarterbacks and one defensive back comprise the list of five finalists for the Walter Camp Football Foundation 2015 Player of the Year award. Running backs Derrick Henry (Alabama) and Christian McCaffrey (Stanford) are finalists along with quarterbacks Baker Mayfield (Oklahoma) and Deshaun Watson (Clemson). Defensive back Desmond King (Iowa) rounds out the list. The 2015 Walter Camp Player of the Year recipient, who is voted on by the Football Bowl Subdivision head coaches and sports information directors, will be announced on Thursday, December 10 during the 6 p.m. edition of ESPN SportsCenter. The winner will receive his trophy at the Foundation’s annual national awards banquet on Saturday, January 16, 2016 at the Yale University Commons in New Haven. Former University of Oregon and current Tennessee Titans quarterback Marcus Mariota won the award last year. 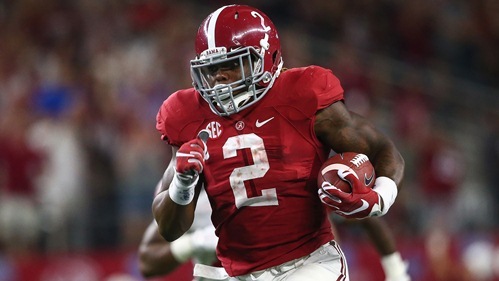 DERRICK HENRY – ALABAMA – Junior – Running Back – The nation’s rushing leader (1,797 yards), Derrick Henry has rushed for 200+ yards in a game four times, including a season-high 271 in a win over Auburn. Henry’s 22 touchdowns also lead the nation. The second-ranked Crimson Tide (11-1) will face Florida on Dec. 5 in the Southeastern Conference title game. 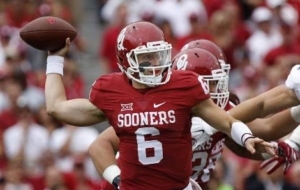 BAKER MAYFIELD – OKLAHOMA – Junior – Quarterback – The leader of the Big 12 champion Sooners (11-1), Baker Mayfield has passed for 3,389 yards and 35 touchdowns this season. His 178.9 passing efficiency rating is ranked third in the nation. 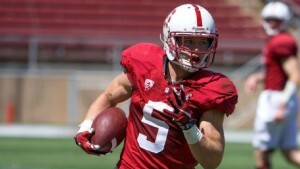 Mayfield has also rushed for 420 yards and scored seven touchdowns. CHRISTIAN McCAFFREY – STANFORD – Sophomore – Running Back/Kick Returner – The nation’s leader in all-purpose yardage (3,305 – 252.9 yards per game), Christian McCaffrey is among the nation’s leaders in rushing (1,640 yards) for the 10-2 Cardinal, who will face USC on Dec. 5 in the Pac-12 championship game. 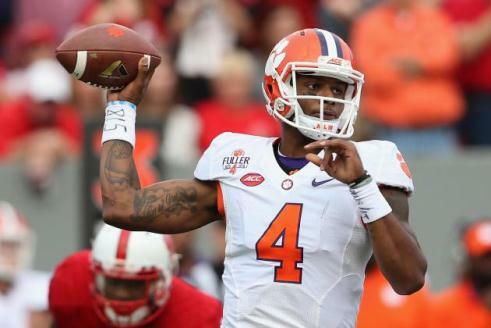 DESHAUN WATSON – CLEMSON – Sophomore – Quarterback – The leader of the top-ranked Tigers offense, Deshaun Watson has accumulated 3,979 yards of total offense and 36 total touchdowns, both of which rank first in the Atlantic Coast Conference. Watson’s 161.9 passing efficiency rating also leads the ACC. Clemson (12-0) will play North Carolina on Dec. 5 in the ACC Championship Game.